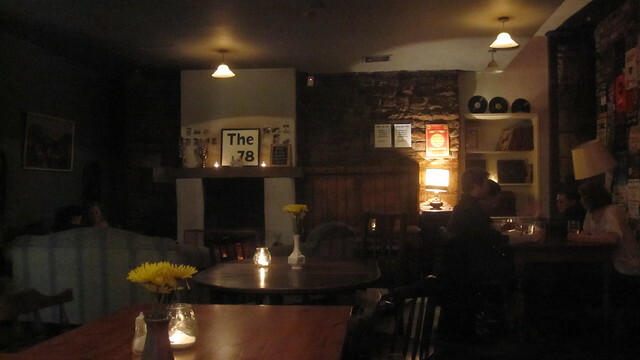 What a treat: an entirely vegan pub with a friendly, warm interior. It was full, too. Meghan and I couldn't help but wonder why there isn't a place like this in Victoria. Did you know that (according to Lonely Planet) about 9% of people in the UK identify as vegetarian/vegan? That and the fact they do not use tumble dryers must be large contributers to a per capita carbon footprint roughly half that of Canada. 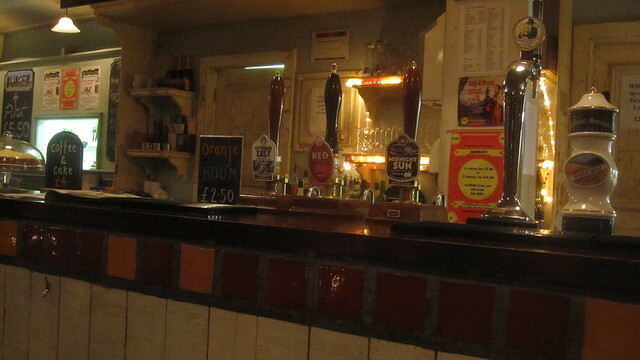 The tap selection featured an array of fine beers from Williams Brothers of Alloa, Scotland. I ordered a Red, which went perfectly with the best plate of vegan nachos that I didn't personally make. The coconut-infused salsa was super tasty.